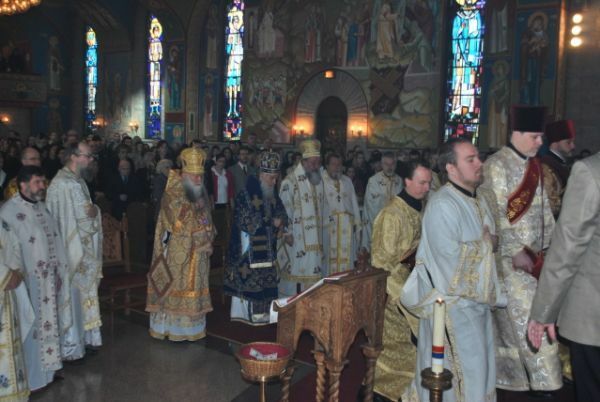 Chicago, IL - On Sunday, February 27, 2011 His Holiness Patriarch Irinej of Serbia officiated at the Holy Hierarchical Divine Liturgy at the Holy Resurrection Serbian Orthodox Cathedral in Chicago. 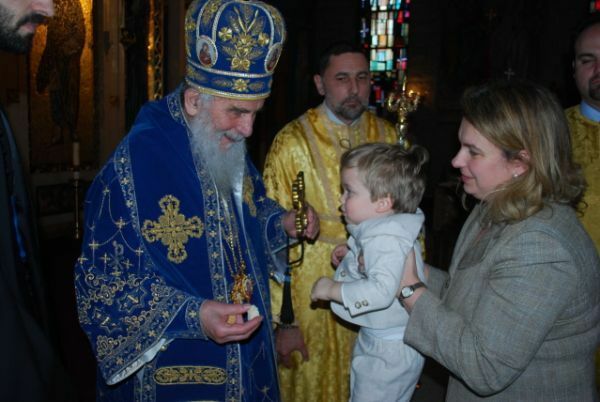 Patriarch was greeted and welcomed by the children of the cathedral parish. During the program all parish organizations were represented. The “Branko Radicevich” choir and the children's choir “Brankici”, directed by Jelica Neskov and Milica Barjaktarevic respectively, sang a few spiritual and ethnic songs from their repertoire. The children from the Church School and Serbian school, through the efforts of Snezana Denker and Gordana Savcic, greeted His Holiness with a recital. Also, the St. Sava Academy performed, the youngest group stood out the most with a song their teacher Ljiljana Burza wrote especially for this occasion. The folklore group “Soko” performed, showcasing their talent. Besides them, a number of St. Sava campers from the St. Sava Camp in Libertyville performed. 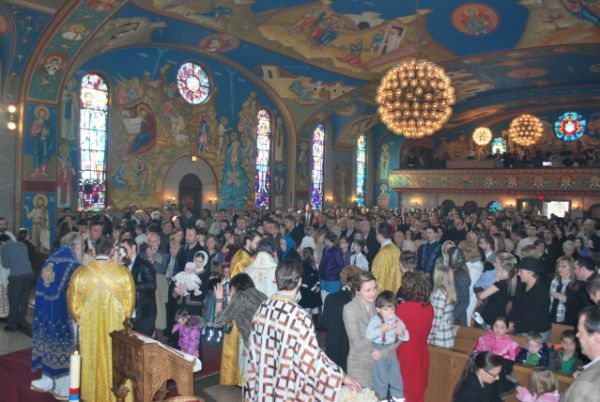 Many of them traveled from distant Minnesota so that they might receive a blessing from their Patriarch. Directed by Aleksandar Starcevic they sang a few songs. Each of them individually received a blessing from His Holiness. 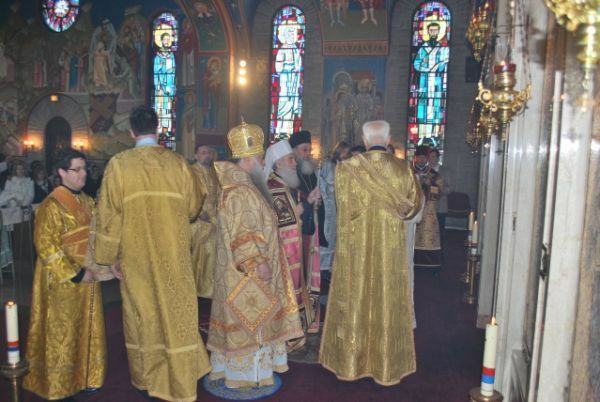 As they themselves stated, they will remember this day all their lives for they were given the rare honor and opportunity to showcase their knowledge and talents to the Serbian Patriarch and to receive from him his blessing. Greeting the patriarch during the program were His Grace Bishop Longin, V. Rev. 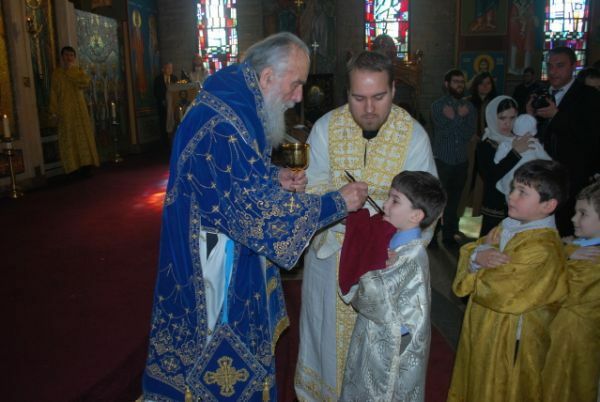 Stavrophor Dennis Pavichevich, the Episcopal Deputy of the Metroplitanate of Libertyville-Chicago, V. Rev. 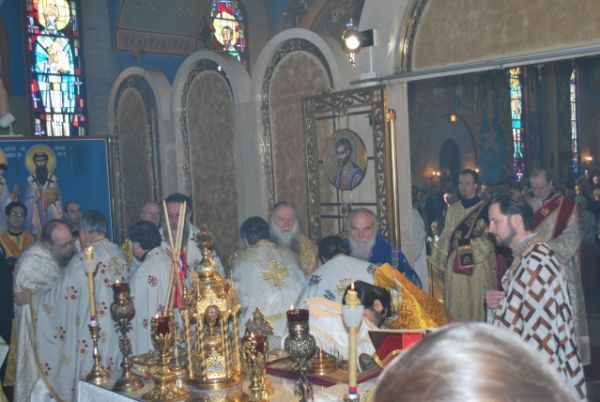 Djokan Majstorovic, the dean of the St. Sava Cathedral in New York City and the President of the Clergy Brotherhood of the Serbian Orthodox Church in North and South America, Rev. 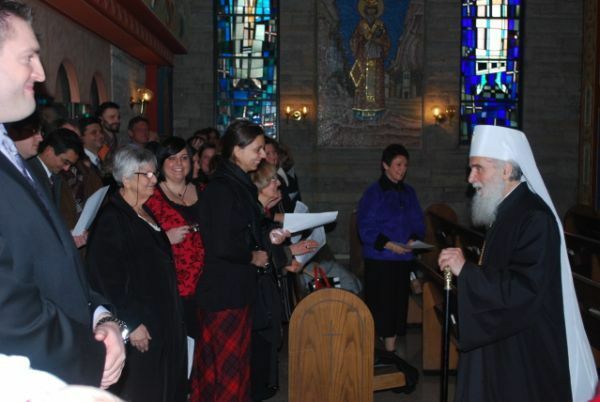 Darko Spasojevic, the dean of the Holy Resurrection Cathedral in Chicago, His Excellency Mitar Kujundzic, ambassador of Bosnia-Hercegovina to the United States, Biljana Sevic, president of the church board at Holy Resurrection Cathedral, Jelena Stojakovic, president of the “Branko Radicevich” choir, Mira Djordjevic, president of the Circle of Serbian Sisters and Marko Bojovic, principal of the St. Sava Academy. 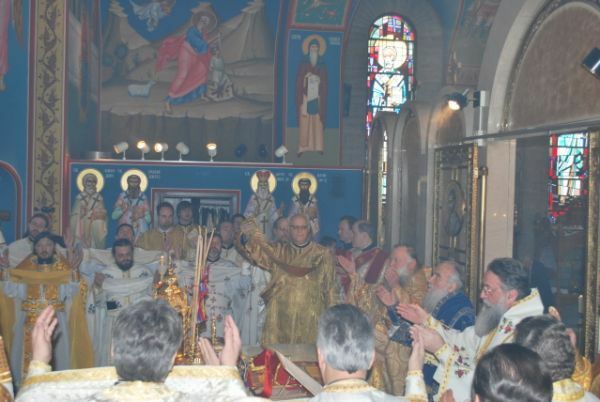 At the end, the cathedral dean on behalf of all the parishioners presented an episcopal panagia to His Holiness.